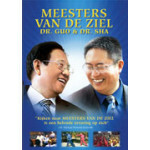 Experience the presence and teachings of Master Zhi Gang Sha and his most beloved spiritual father, Master Zhi Chen Guo. Meet two extraordinary healers, spiritual teachers, and soul masters. Experience their commitment to serve others. As you witness them healing and teaching, your heart and soul will be deeply touched.